Ordinarily, a game of golf starts going downhill the first time you wind up in the water. Not so for those duffers taking a trip on the EUROPA and EUROPA 2, where the gentleman’s game is becoming the star attraction. The new golf offering on the EUROPA2 include expert instruction and shore excursions to some of Europe’s most beautiful courses. Two PGA professionals will accompany special golf cruises and support guests on board with training on two golf simulators. One of these innovative simulators also features integrated video analysis, which accurately assesses every stroke in terms of speed, length, angle of flight and line of flight. This allows the PGA professionals to give guests detailed critiques for the next drive. 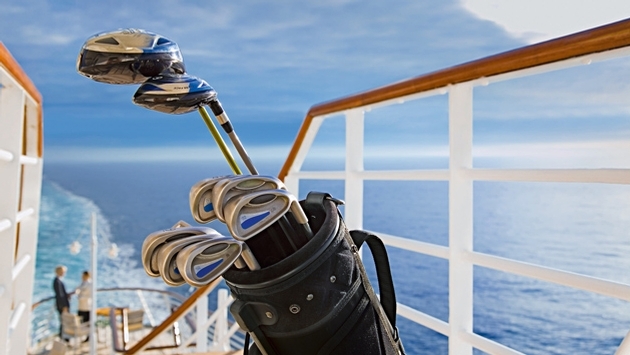 In order to allow the guests to concentrate fully on their game during excursions to the most beautiful courses, Hapag-Lloyd Cruises offer a Golf & Cruise package with comprehensive services on the advertised golf cruises. This features the green fees for each course, accompaniment by a PGA professional ashore and on board, transfers, bag transport, golf club cleaning and use of the fitting station to make sure the golf clubs fit perfectly. Golfing for Kids & Teens is now available on the EUROPA 2, making the sport accessible to all the family. On-board equipment designed for children, ages 6-10 years old, lets junior hackers take their first swing at golf on a trial weekend with the golf pro. Cap’n Knopf will also be there - the Hapag-Lloyd Cruises’ family cruise mascot - who will encourage children to take a swing at golf. For children who find golf fun, parents can also book personal hour-long sessions with the golf pro. 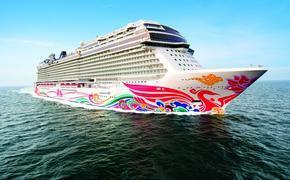 More golf cruises are being offered on sister ship the EUROPA in the 2014 season. The EUROPA’s routes will take guests to the most beautiful courses in the Mediterranean, along the western coast of Europe, in the Baltic Sea and on sunny Caribbean islands: Travemuende to Hamburg, August 31– September 13, 2014 (13 days), from $5,990 per person, cruise only.